Thirty-nine robotics teams including 31 from the Upper Peninsula will be competing this week at the regional competition. Escanaba’s First Robotics team, the Robomos, are hosting the event. Senior Mike Groeneveld says this year’s theme is called Steamworks. Escanaba has already competed in one regional competition. Sophomore Tyler Retlich says they struggled at that competition but have made adjustments to be more competitive this week. Allison Peltin and Macy Leisenring are Freshmen on the Robomo team. Peltin said part of their job is to scout other teams to see how they perform. “We look at how many high goals and stuff that they make, how many gears they can deliver and if they can climb the rope or not. Then we give that to the scouting captains and they put that into a computer. That tells us – if we make it to playoffs – how to picks different teams,” said Peltin. Teams must partner with other schools to gain points. Leisenring says watching the other teams is part of the fun. “I think it’s kind of cool to see what other robots can do compared to yours because then it gives you an idea what other teams are looking for. I thought it was pretty fun,” said Leisenring. The competition will be held Friday from 11 a.m. to 8 p.m. and Saturday from 9 a.m. to 5 p.m. Spectators can also view the robots in the pits set up in the commons outside the high school gym. 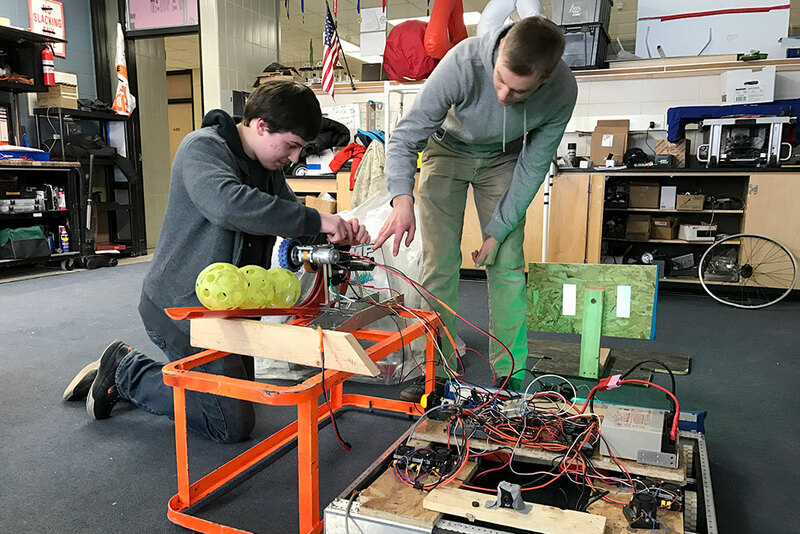 Share the post "FIRST Robotics teams to compete at Escanaba’s regional competition"
Categories: Delta County, Education, and Featured.